The opening of a new bed and breakfast created big news in Waverly, Georgia. Reckon that’s because Waverly (population 1,500) dozes like a Southern belle in the heat of the day. Waverly’s a laid back kind of place and until recently, a little off the beaten track. But, a new exit off Interstate 95- Horse Stamp Church Road- may change those statistics. Kris and Tom Hutcheson courageously decided to become innkeepers while living in Denver. They bought a grand home and moved to Georgia. Not ones to waste time, they landscaped the grounds, made luxurious upgrades to the interior and added a mix of classic and antique furniture to the property. All with four months, no less. The Horse Stamp Inn offers 5 gorgeous suites each named after a famous horse. 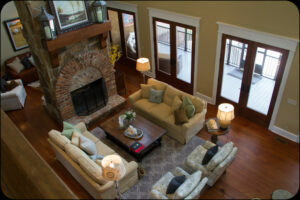 Seabiscuit Suite is the largest and offers access to the upper terrace. The bedroom feels wedding night romantic. Actually, the Horse Stamp Inn would make an ideal location for a wedding. 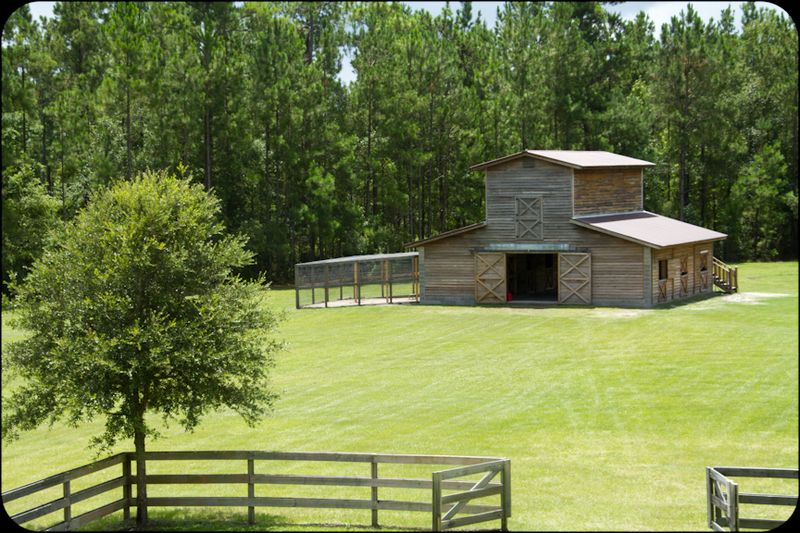 They maintain a pristine barn, 16-acres of tranquil meadows and an artesian pond. Guests looking for something beyond relaxation or simple pleasures like walking or playing cards, may swim in the saltwater pool or fish the pond. Tom also arranges boat outings along the Georgia coast on a private 21-foot vessel. Cruising to Jekyll Island takes less than an hour but a full day is needed for an excursion to Cumberland Island- a National Seashore Park managed by the National Park Service. Overnight visitors delight with the plentiful breakfast Kris prepares. She incorporates fresh produce from the garden when available. I was served blueberry cornmeal pancakes bursting with homegrown berries, bacon and quiche. 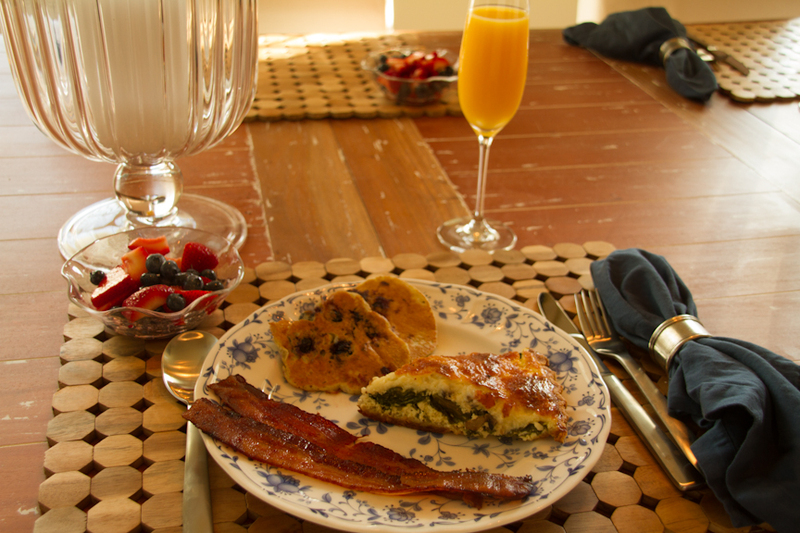 Guests may gather the eggs for their omelet, if desired. As you might expect, two horses also make their home at the Horse Stamp Inn, along with the egg-laying chickens. 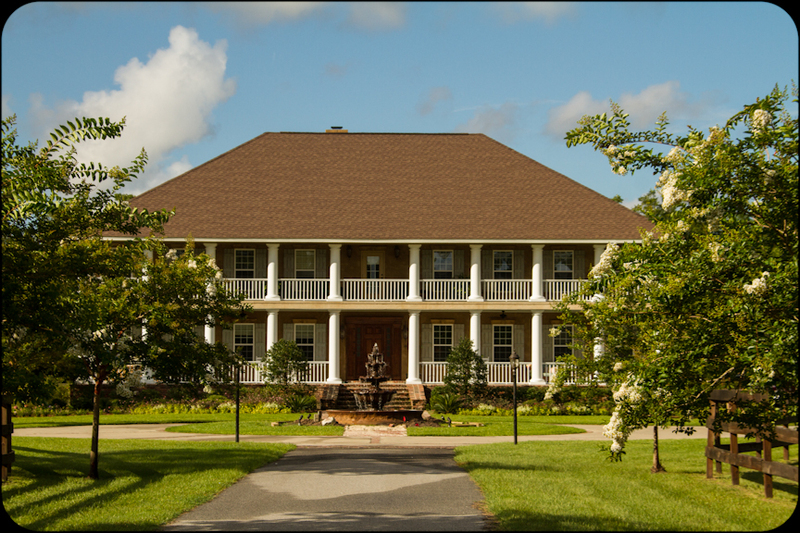 Sumptuous dinners can be arranged with a private chef using the Inn’s dining room or guests can hop in their car and drive over to one of the many restaurants on nearby St. Simons Island. 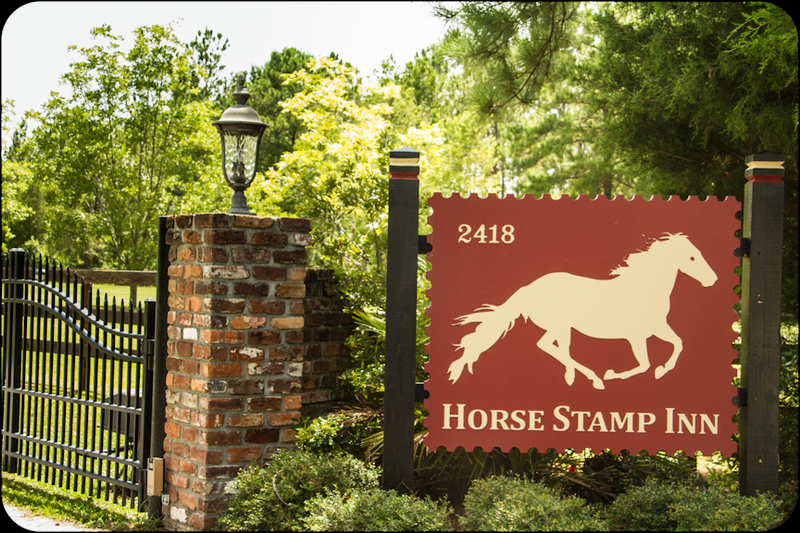 The Horse Stamp Inn makes a great getaway for folks from Jacksonville and Savannah or anyone traveling Interstate 95.